If you are in DTLA on a Wednesday Night and want to walk on the other side for a little bit, Wolf & Crane is a good place to start. 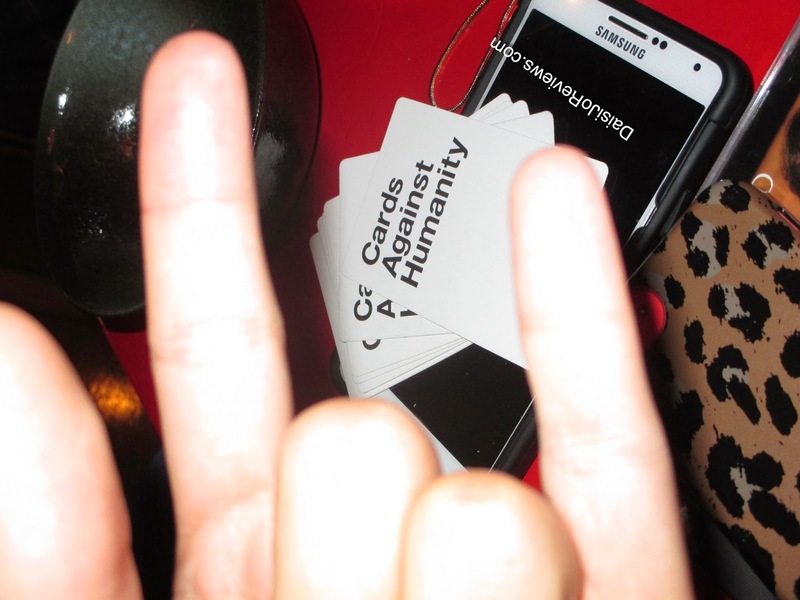 A few Wednesday nights ago, I enjoyed the MC, Hipster Satan and some ridiculously good cheap snacks while playing Cards Against Humanity for the very first time. You don’t need to be tipsy to let go for this game. The cards alone will intrigue and stimulate your mind enough to come up with some insanely crazy phrases. Some of them really made me blush. Each team won some great prizes. Yes, a Neil Diamond CD was one of them. I thought it would have been appropriate to have the DJ pop it in so we could do a jig but everyone else was opposed to that gesture. I ended up Urkeling out by myself but at least I burned off all of the chips and pretzels. Wolf & Crane is very unique in its name and presence in the Little Tokyo district. It bridges the contrast between the glitz bars emerging in surrounding districts and the neighboring eateries. if the name doesn’t immediately infer proper cultural reference to you; “Wolf” is in reference to the Honshu Wolf and “Crane” is referenced to the Red-Crowned Crane.